Podere Palazzo is located in the heart of Etruria and central Italy, at the border of Tuscany, Umbria, and Lazio. Within minutes you can be marveling at the cultural richness of three of the most interesting regions of Italy which offer the delights of both ancient and contemporary Italian life. Prehistoric civilizations, the Etruscans, the Romans, and the feudal wars of early and late renaissance shaped the towns, the cities, and the endlessly enchanting landscapes. Today this complex history can be enjoyed and savored in all its beauty and charm. Beautiful vistas, unique archeological sites, little hamlets perched on top of hills, verdant parks and peaceful lakes, the artistic patrimony of each church and museum, the delightful food and wines, the festivals and palios, and the charming people of the area will make your stay most enjoyable and rewarding. In this section of our website you will get a glimpse of the history of towns & cities that we visited and found most delightful. Our recos & Itineraries will allow you to get the most of the area around Podere Palazzo. For your convenience we have subdivided areas to visit into four different ones located north, east, south and west of the house. We do not mean to exhaust all the beautiful places that can be explored here but we want to give you a glance of what we love and think is worth visiting. 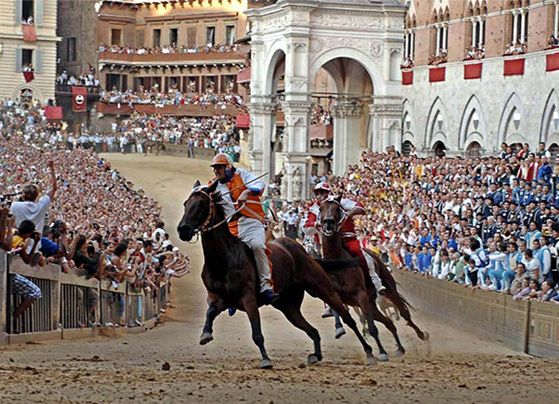 July and August: The Palio is a world famous horse race on the Piazza del Campo where the different contrade compete for glory. A unique experience and the most famous of Italian Palios. Throughout the month of July: Classical music concerts in medieval courtyards and palaces in the heart of Siena. Is the Renaissance city of architect Rossellino and Pope Pius II Piccolomini. The historic town centre is striking and a unique expression of the thoughtful planning for an ideal city that would bring together the civil and religious authorities. The Palazzo Piccolomini and the views of the Val d’Orcia from its courtyard are breathtaking in every season. The Cathedral is worth a visit and a stroll in the narrow streets of Pienza is a must. You will enjoy wonderful boutiques with local products and artifacts. Don’t forget to taste the Pecorino cheese selections that add to the fame of this delightful Tuscan town at any time of the year. First Sunday of September: Fiera del Cacio is a Pecorino Cheese Festival. 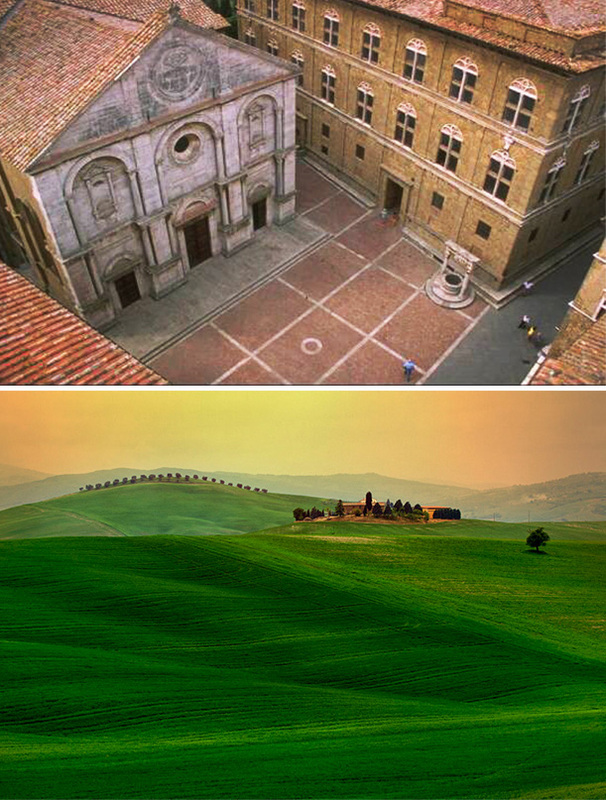 Usually starts the last Saturday of June and runs eight days and nights: Incontri in Terra di Siena are meetings in the Lands of Siena are a series of special musical performances that are staged on an around estate named La Foce just south of Pienza. 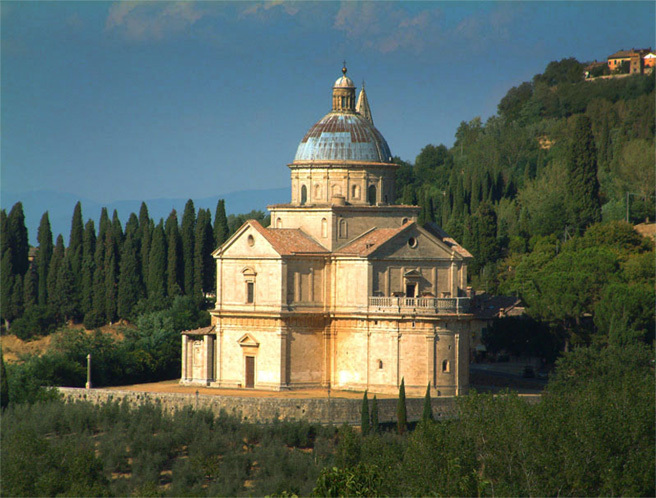 - Worth a stop on your way to or from Pienza is the town of Monticchiello with its beautiful cypress lined roads and a small charming medieval center. Perched on the crest of a volcanic hill, since the sixth century, this town has numerous religious and secular buildings highly influenced by Florentine Renaissance architecture and is the birth place of the famous poet Politian. A stroll through the old town and a visit through the Piazza Grande will charm any visitor. The views of the town and its environs f rom the tower of the Town Hall are magnificent. The Church of the Madonna di San Biagio just outside the Porta al Prato is a renaissance masterpiece by Antonio da Sangallo and a highlight of Montepulciano. The town is also famous for its Vino Nobile, a delightful red wine that is the essence of Tuscan wines. 14th & 15th August: In the main town square you can enjoy the Feast of the Assumption and the popular festival of the Bruscello tree. Last Sunday of August: Bravio delle Botti is a competition among the contrade involving rolling barrels through the streets of the historic town. - The countryside aorund Montepulciano is magnificent and e recommend organizing a visit to one or 2 Vineyards in the area. Ask us for details. 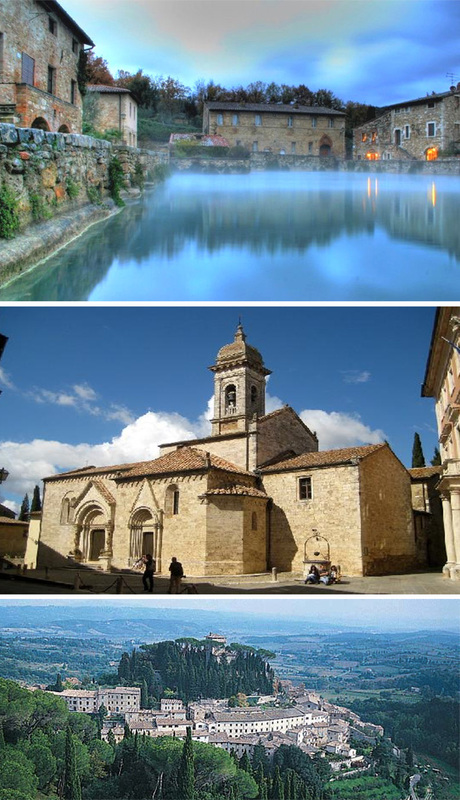 - On the way to or back from Montepulciano the town of Chianciano Terme is worth a stop. Famous for its thermal facilities, it has a charming historic center. This small town is situated on a hill covered with olive groves and the famous Brunello vineyards dominating the Asso, Ombrone and Arbia valley. It is surrounded by fortified walls, topped by a pentagonal shaped fortress from 1361 and defined by beautiful Sienese style buildings and churches. The Museo Civico e Diocesano d’arte sacra boasts an impressive collection of Sienese paintings. A stroll through Montalcino’s charming streets and piazzas is a must if you want to savor Tuscany at its best. Great shops allow you to purchase some of the best wines of the region. 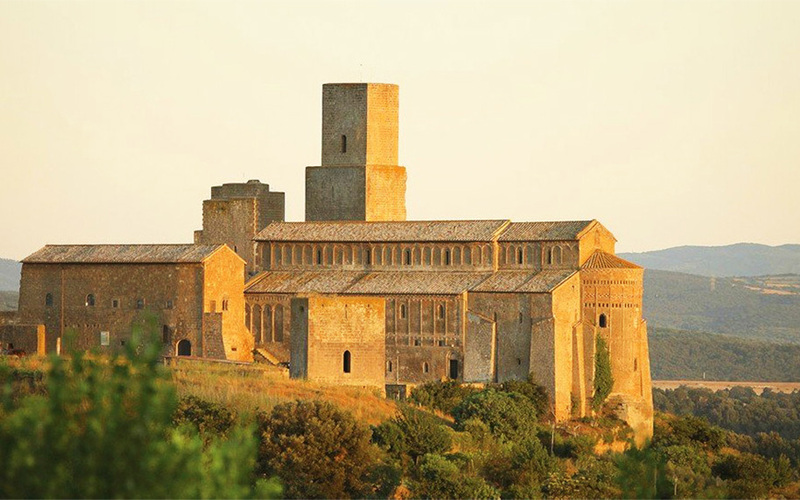 The Abbey of S.Antimo is a jewel of medieval archituecture just outside Montalcino. and it still maintains a community of Friars who sing Gregorian chants throughout the day. Is it a magical place situtaed in a picture perfect valley surrounded by woods and vineyards. Last Sunday of October: Feast of the Thrush is the festival that brings closure to the success or failure of the hunting party that departed amidst a festive celebration on the second Sunday in August. All residents of the city participate in this colorful combination of historic tradition, gastronomic feats of grandeur, music, and dance. - Endless visits and tours to vineyards are avaiable in the surrounding country side including the famous Castello Banfi. Ask us for more details. 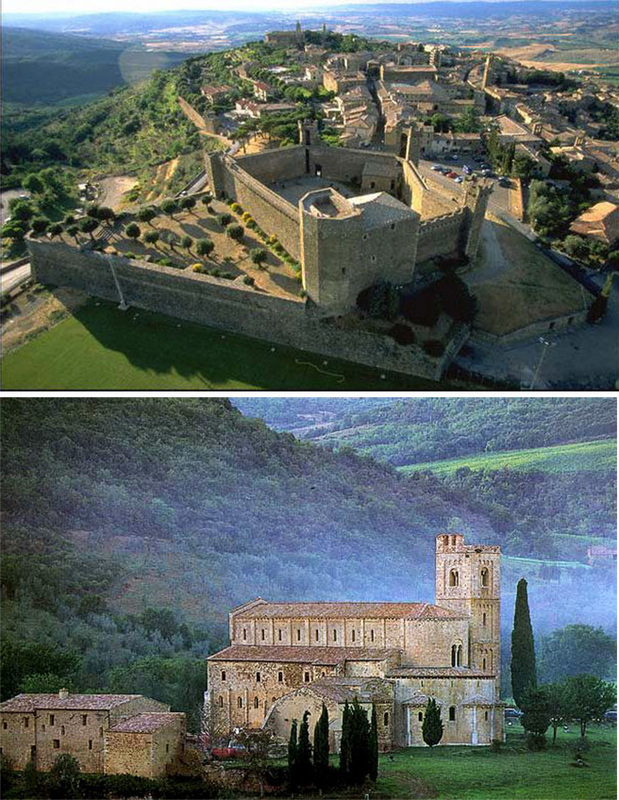 - We recommedn not to miss the Abbey of S. Antimo described above. In the heart of the magnificent Val d’Orcia, Bagno Vignoni stands as a unique gem of unique architecture. The main square of the town is a large thermal pool built in the 16th century and called the “square of springs” and attended for its healing properties by eminent personalities such as Pope Pius II and Lorenzo the Magnificent. The aquifer and its hot springs however have been used since Roman times. The town buildings are particularly well preserved and its basic layout is basically unchanged since Medieval times. S. Quirico d”Orcia is strategically located along the Via Cassia and the Via Francigena and is encircled by medieval fortified walls. A stop should be made at the Collegiata dei Santi Quirico e Giulitta with its magnificent Romanesque-Gothic doorways as well as at the churches of the Misericordia and Santa Maria di Vitaleta, at the Palazzo Pretorio (town hall) and at Palazzo Chigi. The Horti Leonini gardens are a splendid ex-ample of giardini all’italiana. They were designed in 1540 and periodically host temporary contemporary sculpture exhibits. Month of June in S. Quirico: Feast of Barbarossa. Competitions among locals waving flags and performing archery challenges in costume. The town of Sarteano was a pre-Etruscan and then Roman settlement that became a wealthy medieval town. Today it still boasts a tenth century castle, the beautiful church of San Francesco and many more palaces and churches worth a visit. Of special interest are also archaeological Etruscan sites and the Civic and Archaeological Museum. Cetona sits right on the Eastern side of Mount Cetona which is one of the highest mountains in Tuscany, a National reserve and the site of some of the eraliest settlements of Central Italy. The town is built around a fortified castle from the 900 AD. and while small and compact it is full of medieval charm and its position is wonderful, overlooking the entire Valley of the Chiana which is quintessential Tuscany. Worth a visit are the church of San Trinita’ and the San Michele Arcangelo as well as the convent of Saint Francis from 1212. Every year on August 15 in Sarteano: Giostra del Saracino is a procession in historical costume followed by a contest on horseback between ancient rivals from the five Contrade. Arezzo became an independent commune in 1384 after first having been established as an important Etruscan city and then a rich Roman one. 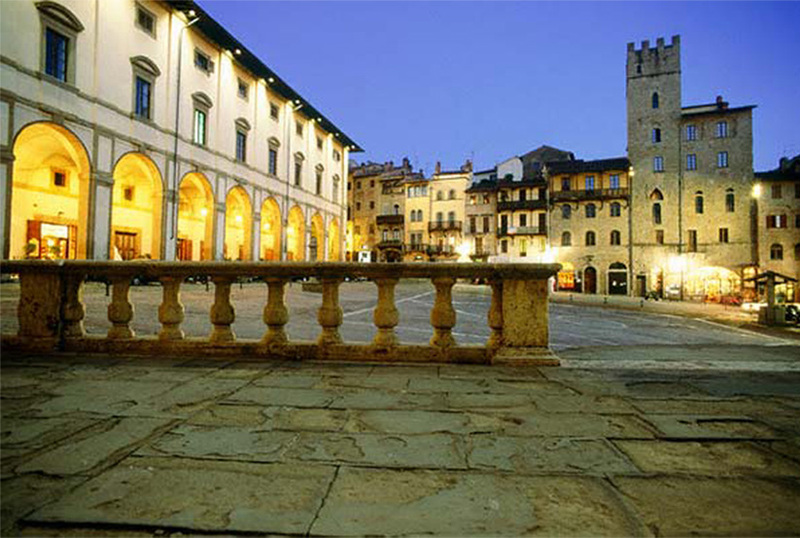 The birth site of many famous men such as Petrarch and Giorgio Vasari, Arezzo today is a rich thriving industrial city with a well preserved historic center. Rising from the plain below it has a Medici fortress with views of Tuscany and the Arno Valley, a Roman amphitheater, splendid churches, loggias, and palaces. 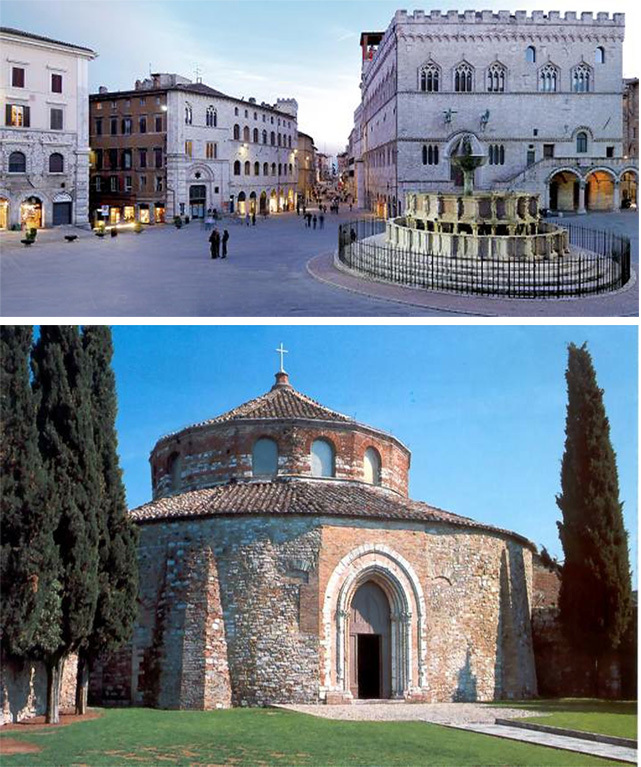 Of special interest are the main Piazza Grande, the Church of Santa Maria della Pieve and the Museum of Medieval and Modern Art. Not to be missed is the Church of San Francesco where the cycle of frescoes of “The legend of the true cross” by Piero della Francesca, are one of the greatest of the Renaissance. First Sunday of the month: Antique and Flea Market is the créme de la créme of flea markets. From large furniture pieces to small objects that will fit into your suitcase this market has it all. Last Sunday of June, first Sunday of September: Located in the main square is “The Joust of the Saracen”, a tournament featuring a parade in thirteenth century costume and a charge by mounted lancers at a representation of the Saracen enemy. It spotlights the superior horsemanship still highly valued in Tuscany from the time of the Crusades and the Age of Chivalry. From a high Tuscan hill rises the ancient and noble city of Cortona. Before the city lies a vast and beautiful plain and it is flanked on either side by distant hills, valleys and Lake Trasimeno. 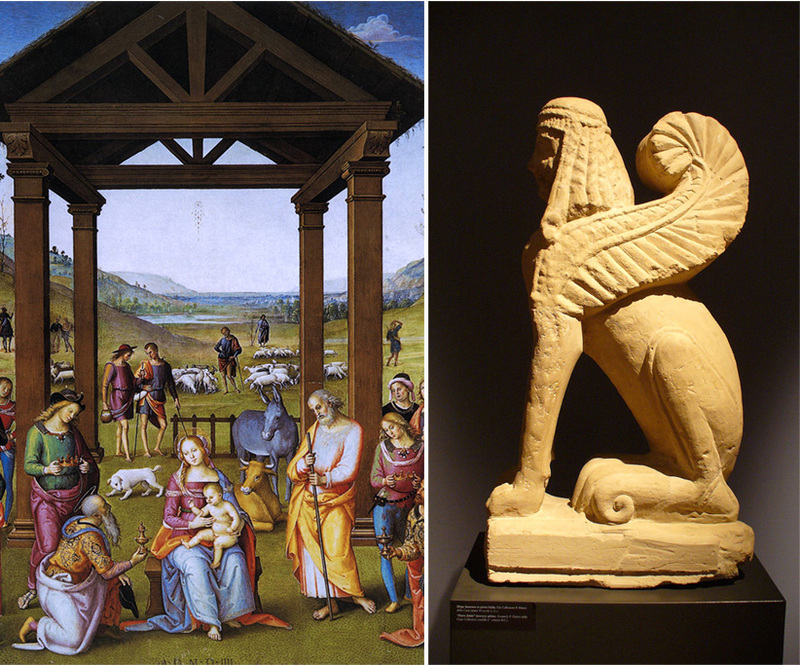 Cortona’s ancient history is tied to that of the Etruscans and then the Romans. 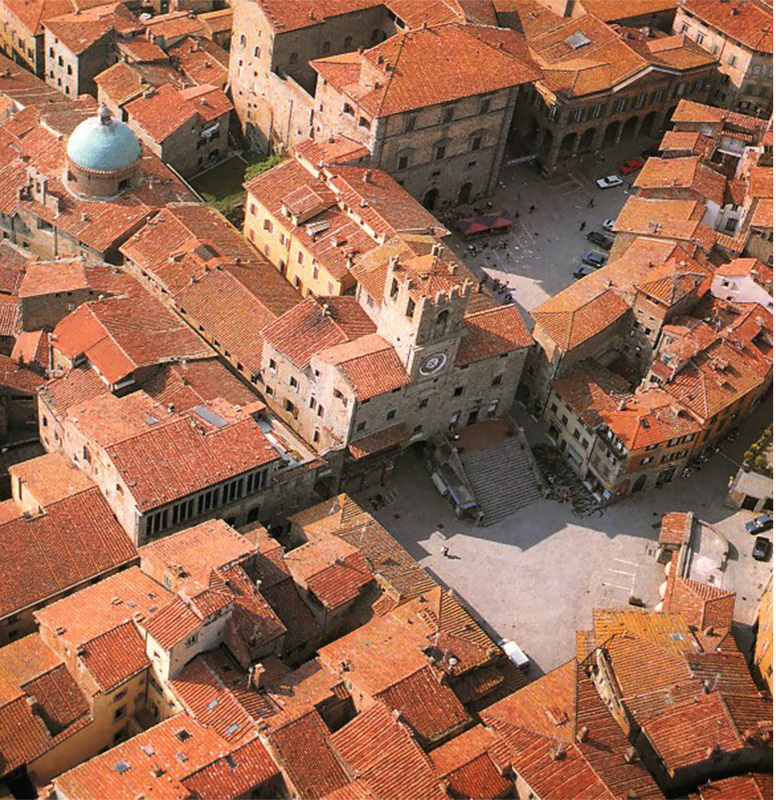 It became a free city in the early renaissance as part of the religious Diocesi of Arezzo. Of special notice are the main square with its elegant palazzi, the Churches of Santa Maria del Calcinaio, Santa Margherita, San Domenico, and the museum of the Etruscan Academy. Not to be missed is the Museo Diocesiano with works by Fra Angelico and Luca Signorelli. Last weekend in August through the first weekend in September: Antique furniture exhibition and Market. Wonderful collection of high quality antiques in the Palazzo Casali. October: Festival of the Grape & Celebration of the Chestnut. A day of plentiful roasted, sugared, salted, baked, and pureed chestnuts that can be washed down with the fine wines of the region. Festivities are plentiful. August 15: Festival of the Beefsteak. A gastronomic outdoor demonstration in the pleasant gardens of Parterre, which aims to celebrate the very good meat of the Valdichiana Valley. Chiusi’s origin dates back to the first millennium before Christ and was one of the twelfth most important cities in the Etruscan federation. Later it became a Roman city and in the thriteenth century was the battle field between the cities of Florence and Siena. The National Archaeological Museum has one of the finest collection of Etruscan artifacts outside of Rome. Chiusi’s old center in the upper part of town is one of the most charming in the area and the cathedral with its Romanesque interiors is worth a stop. Citta’ della PIeve is one of the up and coming towns of Umbria and boasts fortified medieval walls and bastions, charming streets and masterful fresoces and paintings from the early renaissance artist Pietro Vannucci also called “Il Perugino”. Its is worth a visit for its beautiful views of the surrounding Valley of the Chiana and its charming and lively city center. First through the third Sunday of August in Citta’ della Pieve: “Palio dei Terzieri”. An old festival with competitions among the archers of the different village districts, a historical parade, and the opening of fourteenth century stalls and taverns to taste delightful local cuisine. Fourth Sunday of every month: Exchange market of old and used articles. Perugia was one of the twelve Etruscan city-states that comprised the federation of Etruria in the seventh and sixth century B.C. Today the massive Etruscan walls and gates still define the historic center. Medieval ecclesiastical and secular buildings as well as Perugia’s famous University make this city a treat for any visitor. The Piazza 4 Novembre with its Fontana Grande and the Palazzo dei Priori are the highlight of the city. The spectacular art collection in the Galleria Nazionale dell’Umbria is worth a visit. Other impressive sites are the Museo Archeologico dell’Umbria, the Church of San Pietro, and the Oratory of San Bernardino. Of particular interest is the Temple of S. Angelo just on the outskirts of the old city center, a circular church where the original pagan elements are fused with the church functions and immersed in beautiful tranquillity of its surroundings. Last weekend of the month: Outdoor market. The main attraction here are ceramics, from the most precious to the most utilitarian, all colorfully decorated with patterns in use for centuries. Antique costume jewelry is another highlight. It takes place In the Palazzo della Prefettura in summer, and in the Rocca Paolina in winter. Second Friday through the third Sunday of July: Umbria Jazz Fest. Since 1975, this vibrant, world-famous jazz fest has attracted some of the biggest names in jazz to the center of the most beautiful countryside that Italy has to offer. Third Friday through fourth Sunday of October: EuroChocolate Festival. An annual event dedicated to cocoa sweetmeat for which this ancient Etruscan town is world famous. Some 300,000 sweet-toothed visitors devour 50 tons of the high-calorie indulgence during the nine-day blow-out which includes chocolate tasting in cafes and in historical theaters, theme shows and workshops, cinematic presentations featuring sweet-toothed characters and lectures featuring nutritionists. 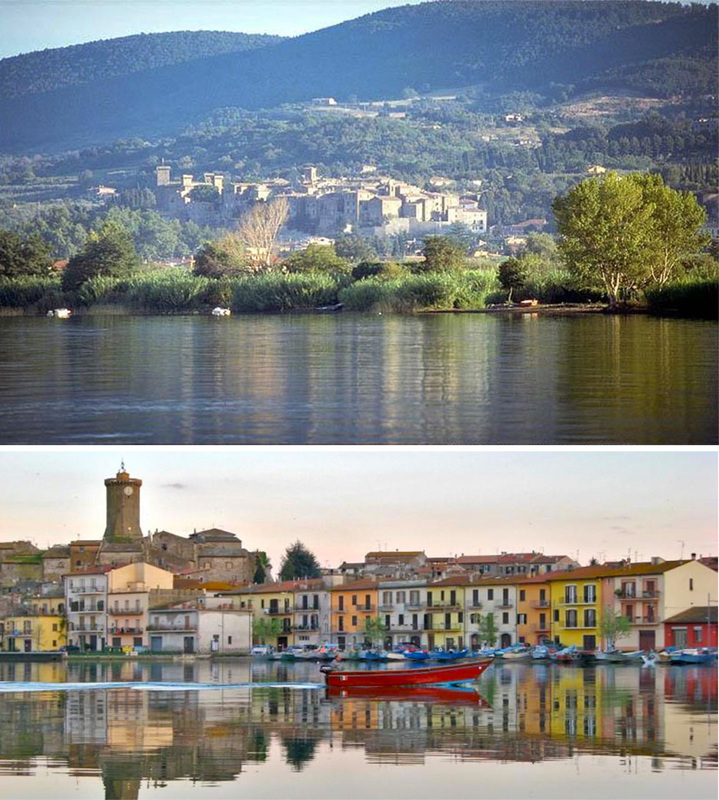 Castiglione del Lago has evolved on what used to be an island - the fourth island of Lake Trasimeno. Over the centuries, as the town grew, the flat gap between the island and the shore was filled with piazze, houses, churches and other buildings. Due to its position in this hotly disputed territory, pitting Etruscans against Romans, and later Tuscans against Perugians, fortifications were erected, destroyed and rebuilt on numerous occasions and still survive today. 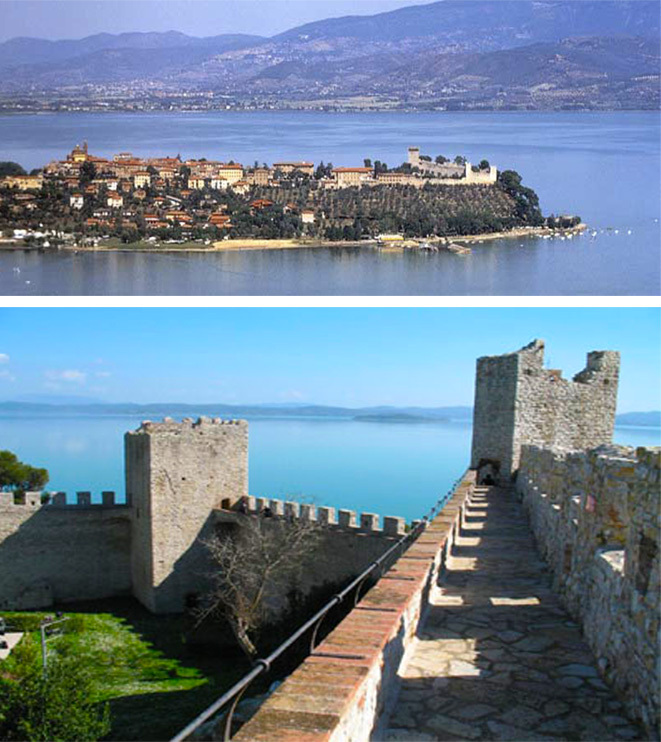 The "Fortress of the Lion" was built right over Lake Trasimeno by Emperor Frederick II. The pentagonal-shaped castle, was completed in 1247 and features square towers at its corners and a triangular shaped bastion known as the Mastio. The Palazzo del Comune (Town Hall) was built in Renaissance style, by the architect Vignola. It is now a civic museum and gallery, and has an interesting covered corridor connecting to the castle and Renaissance era frescoes by Pandolfi, Savini and "Il Pomarancio" adorn the most interesting rooms in the palazzo. Of particular note is also the Church of Santa Maria Maddalena, done on a Greek-cross plan. The charm of this town is his beautiful position over the lake, its charming streets and Piazzas and lovely shops. Lake Trasimeno is the remnant of a shallow sea in this part of Umbria created by a depression formed by geologic fractures. The first civilization to inhabit this area was the Etruscans; three of the main Etruscan cities - Perugia, Chiusi, and Cortona - are within 20 kilometres of the lake. Today the lake is shallow, muddy and it receives water but has no outlet yet water quality is excellent and is rich in fish. Trasimeno is surrounded by hills, rich in olive orchards, vineyards, and fruit and vegetables fields. The main towns surrounding the lake are Passignano, Tuoro, Monte del Lago, Torricella, San Feliciano, San Arcangelo, and Magione with its castle ....they are all worth a stop. 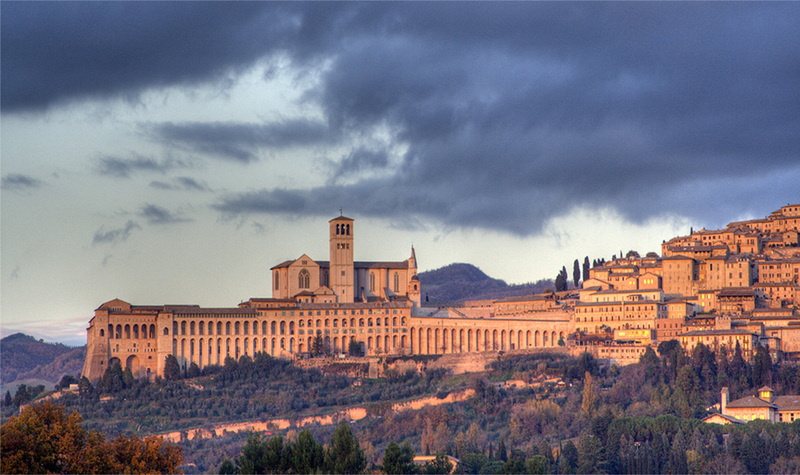 Assisi is the birthplace of St. Francis and home to his burial place, the enormous and beautiful Basilica of St. Francis. The construction of this impressive structure was a Medieval architectural feat and it is still considered one of the engineering marvels of the period. The walls of the lower and upper churches are decorated with remarkable frescos, the best known of which is one of Italy’s most famous works, Giotto’s Life of St. Francis. The town features many other sights and spectacular views of the Umbrian countryside from the castle. Despite some commercialization, Assisi’s delicate pinks and grays, and the rocks, olive trees, churches in the valley below still convey a gentle otherworldliness worthy of its most famous son. May 1st: Calendimaggio. Song brigades serenade under the windows of the farmhouses, accompanied by handmade tambourines, At each farm, they are rewarded with eggs which are later sold to finance a joyous celebrationn and dancing in the squares. October 3rd for 2 days: The feast of St Francis of Assisi is the most important festival of the Franciscan calendar in Assisi. It commemorates the saint’s transition from this life to the afterlife, according to the Catholic Church. The town gets illuminated by oil lamps burning consecrated oil brought from a different Italian town each year. Solemn religious services are held in the Basilica of St Francis and Santa Maria degli Angeli. 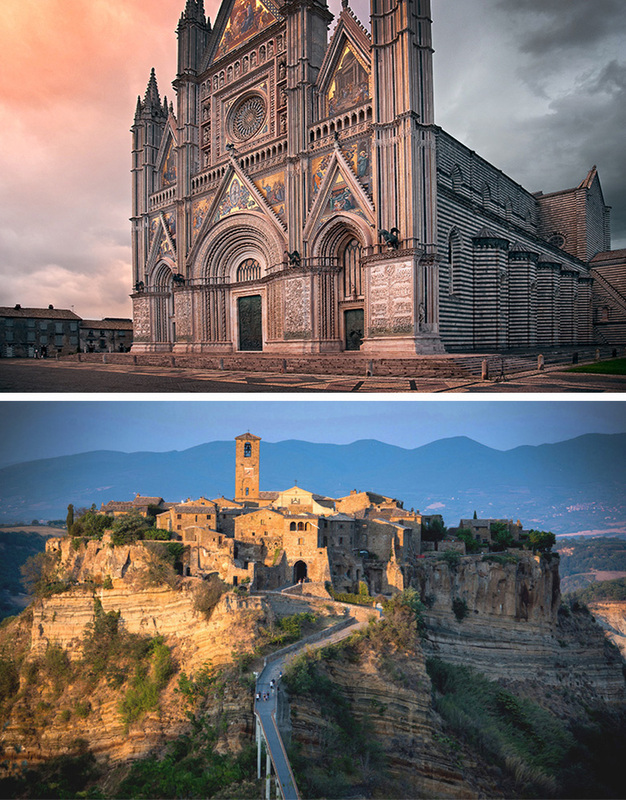 Renowned for its magnificent gothic Cathedral, its beautiful position on top of a tufa rock and its white wine, Orvieto is as charming as it gets. The façade of the Duomo is a masterpiece of colored mosaics and stone reliefs. Its interiors are rich in art and sculpture and include the famous chapel displaying the frescoes of the Apocalypse by Luca Signorelli, not to be missed, as they are said to have inspired Michelangelo’s Final Judgement in the Sistin Chapel.. The Palazzo del Popolo, the Well of San Patrizio, and the old quarter are well worth a visit. Great shops and Gelato on the main Corso provide for a wonderful authentic Italian experience. Civita di Bagnoregio is 15 minutes from Orvieto and worth a stop especially in the afternoon or evening. A unique gem of a town that sits on top of a tufa cliff connected to the rest of the world only by a pedestrian bridge. Getting to Civita is like stepping back in time and experiencing a different way of living. The views over the Tiber valley from the edges of town are magnificent and the main dirt piazza and its ancients streets are as charming as it gets. Have dinner at on eof the lovely restaurants here and take time to savor the beauty of this unique place. August 14th in Orvieto: Folk and religious celebrations in honor of Our Lady of the Assumption, the patron saint of Orvieto. 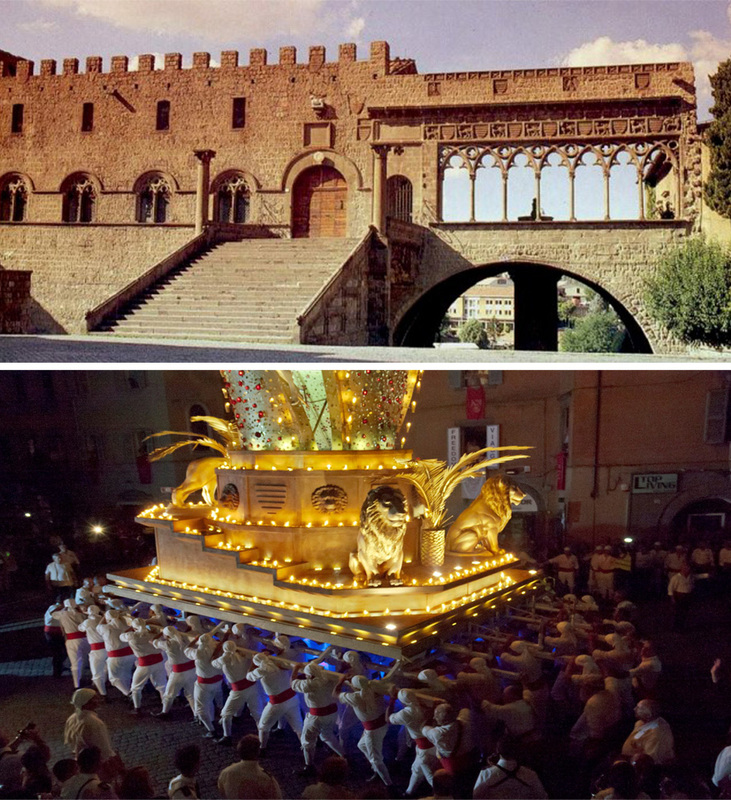 Early June and early September in Civita: la Tonna is a donkey race that occurs in the main Piazza. Great fun for kids. Christmas: spanning for 3-4 days the Presepe Vivente is a live re-enactment of the Nativity complete with Roman Centurions, a mange and the holy family. The town of Bolsena sits at the eastern edge of the Lake Bolsena, a volcanic lake formed by an eruption 250,000 years ago. Like so much of central Italy, Bolsena bears the signs of almost every important period of the Italian peninsula, going back as far as the Iron Age and progressing through the times of the martyrs, catacombs, miracles and on to the Middle Ages. Worth visiting are the Castle, built by the Monaldeschi della Cervara family in the twelfth and fourteenth centuries, the Complex of Saint Cristina with its fourth century catacombs, eleventh century basilica and seventeenth century baroque church. Bolsena has also been known since Roman times for its wine and eel. A stroll through the quiet historic center and by the newer Lungolago along the lake will give you a good glimpse of Italian town life. We recommend an excursion on the lake to visit the haunting Isola Bisentina and a swim in the cool crystal clear, spring-fed lake water. Other towns of interest around the lake include the picturesque fishing village of Marta, charming Capodimonte and picturesque Montefiascone with its beautiful views of the lake from the gardens of the now ruined sixteenth century papal palace. For those interested in World War II history a visit to the Commonwealth Cemetery along the slopes of the lake is both moving & informative. Viterbo’s origins are unknown: it was probably founded by the Etruscans but it’s existence is verified for the first time in the eighth century. Starting in the eleventh century Popes made Viterbo their preferred residence hence the Papal Palace which functioned as a country residence and a refuge in times of trouble in Rome. Viterbo’s historic center is today recognized as one of the best preserved medieval towns of central Italy. Worth visiting are the Romanesque Cathedral of San Lorenzo, the Piazza del Plebiscito and its palaces, the Fontana Grande and many gothic and Romanesque churches. Of interest are also the Museo Civico (City Museum) which houses many archeological specimens from the prehistorical to Roman times and the Pinacoteca with a fine collection of renaissance paintings. September 3rd: Feast of the Macchina di Santa Rosa. The Macchina is an illuminated bell-tower 30 meters high. At the top of the tower, the statue of the Patron Saint. One hundred and thirty locals known as the facchini carry the Macchina from Porta Romana through the major streets of Viterbo, concluding with a strenuous ascension up to the Piazza di Santa Rosa. Itinearies: Interesting itineraries include a visit to the nearby Villa Lante as well as other famous formal Italian Gardens. See further information onn these in section below. The historic gardens of Lazio reflect the history of Renaissance Rome, where the gardens of Ancient Rome were recreated and redesigned by Renaissance architects. It is also the history of the great Roman families who used the city’s splendid history to enhance their glory by commissioning the design of palaces and gardens in the Lazio region, private worlds of beauty which we are now privileged to share. Villa Lante, a garden with two small summer pavilions, has come down to us almost unchanged since it was completed at the end of the sixteenth century. It has been admired for 500 years as the perfect example of a Renaissance garden. Known for its symmetry and its water works, it is considered a masterpiece of proportion and perspective by the great architect Vignola. It remains as enchanting and magical today as it was at its creation. Built on the foundations of a fortress, the architect Vignola created a great pentagon shaped villa for Cardinal Allessandro Farnese, a great patron of the arts. The beautiful Renaissance retreat is best known for its monumental staircase, beautifully frescoed Room of Maps of the World, and its south facing summer garden and north facing winter terrace. Dominating the tiny village of Caprarola, the palazzo and gardens are at once majestic and serene. Nearby you will also find Lago di Vico, a secret little lake in the crater of an ancient volcano. Here you can hike forest covered slopes or drive the Via Ciminia along the crater’s summit ridges. 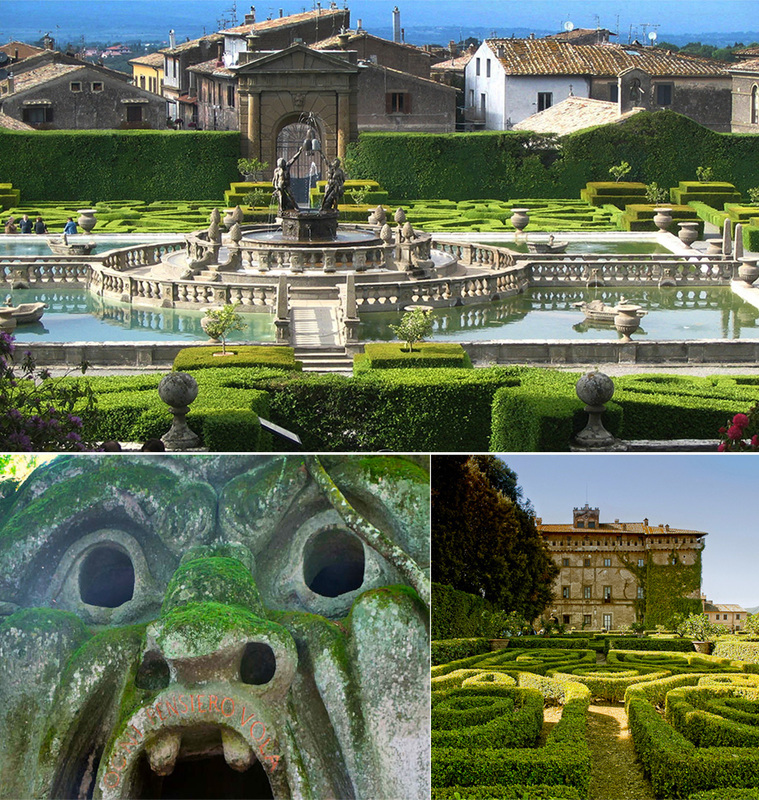 In a park below a still visible castello, the Orsini family created Lazio’s most extraordinary gardens: the ‘Park of Monsters’. Grotesques, moss covered sculptures, and huge, fantastic stone creatures give the effect of a sixteenth century fantasy theme park. It is an original vision of mystery and menace that stands in contrast to the restraint and elegance of Villa Lante only 8 miles away.Children will be especially enchanted by this Renaissance wonderland, but all will be fascinated by this unusual pleasure garden. Castello Ruspoli, in the village of Vignanello, boasts the best preserved Renaissance parterre to survive anywhere in Italy. It was planted to be seen from above—directly under the windows of the Ruspoli family’s imposing fortress in the historic Cimini Hills outside of Viterbo. The pattern of the parterre, divided into twelve rectangular compartments, is exactly as it was laid out 400 years ago. To this day the castle is in the possession of the Ruspoli family who have restored and saved the garden for posterity. Pitigliano is a well preserved hill town known as the “Little Jerusalem” because of the presence of a Jewish community that flourished up to the early 1900s. It sits on a beautiful tufa rock at the southern end of Tuscany. It is known for its white wine, its beautiful landscape around the city and its Etruscan tombs. Today Pitigliano still has a standing synagogue that is a testimony to its rich Jewish heritage. Worth visiting are the Castle of the Orsini family, the Vie Cave, an intricate system of roads excavated deep into the tufa rock that is a unique legacy of the Etruscans, the former Cathedral of Saint Pietro e Paolo and the church of Santa Maria. 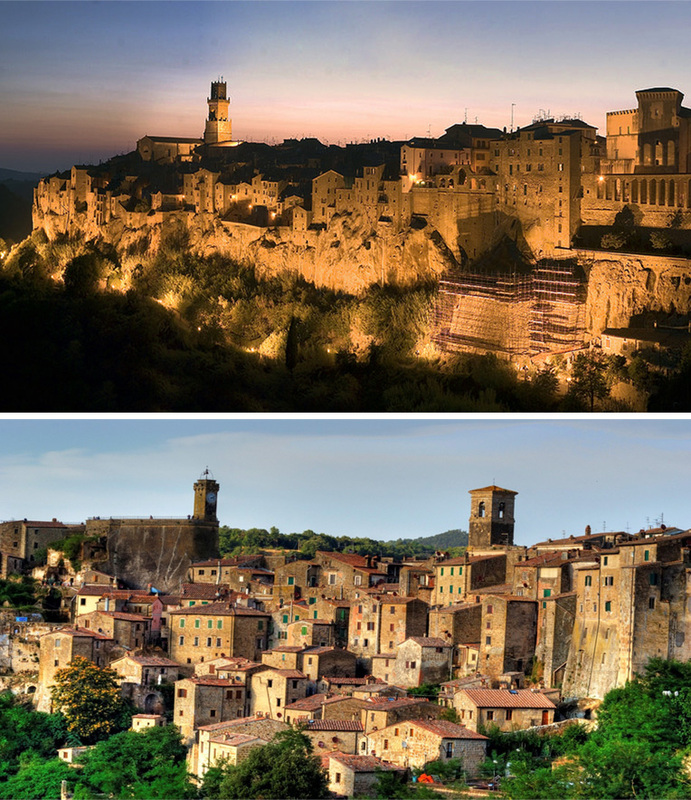 Sorano’s history is tied closely to that of Pitigliano. The city is of Villanovan and Etruscan descent and is built almost entirely of local tufa stone. It also boasts a rich Jewish history. Sites worth visiting are the Castle of the Orsini from which you can enjoy a beautiful view of the town below, the Masso Leopoldino in the center of the old town. While tiny Sovana has only two streets and one square, it is as historically interesting a village as you will find in Italy. It is as old as the Etruscans, was the power base of the noble Aldobrandeschi family, and is the birthplace of a pope. This rich history accounts for the presence of one of Tuscany’s most beautiful parish churches with its remarkable frescos and ninth century ciborium. In addition, the surrounding countryside is scattered with hundreds of Etruscan tombs including the famous Tomba Ildebranda, considered Tuscany’s finest single tomb. Last weekend of October: Pitigliano Film Festival, All entries involve Jewish life. Tarquinia was once the cultural and political capital of the Etruscans and now features an Etruscan museum and tombs as famous as any in Italy. The small museum houses the most beautiful Etruscan sculpture in existence, a pair of winged horses, as part of its excellent collection. Six thousand tombs honeycomb a plateau east of town and feature historically significant frescos open to only a handful of visitors at a time due to their fragility. A visit to Tarquinia presents a unique opportunity to appreciate the achievements of the most important early culture of the Italian peninsula. Legend has it that Tuscania was founded by Aeneas, founder of Rome. it was an important city during Etruscan, Roman and early Christian times. Today this honey colored town of tufa boast impressive monuments from of all of these periods, magnificent early Renaissance piazzas and the unique Medieval church complex of St. Peter.